Today I’m very excited to introduce to you a new blog series that I’ve been putting together this year. To be honest I kept going back and forth trying to decide if this “block of the month” series was something that I really wanted to do. Many of you that know me, know that consistency is NOT my thing… and committing to something for a whole year… well that’s just a bit terrifying!! But after talking to many readers both here, in person, on Facebook and Instagram I’ve decided that there are a lot of you out there that want to learn how to quilt but aren’t sure where to start and are not sure if you want to take on such a big project all at once. So if you’ve NEVER quilted before, or if you’re an experienced quilter just looking for a few a fun quick projects I invite you to join me in this new series. Each month I’ll share the directions for a new quilt block. For those of you that are new, most quilts are composed of blocks, which are usually square. A quilter constructs several blocks individually then connects all of the blocks into a finished quilt. If you’ve ever looked a quilt with a bunch of shapes and wondered how in the world they did that… well that’s probably how. One step at a time. What’s that saying about how do you eat an Elephant?? One bite at a time… (not that I’d ever eat an Elephant). The blocks will start this September and run for 1 year. Each block will have photo instructions and the blocks will progress in difficulty as the year goes by. 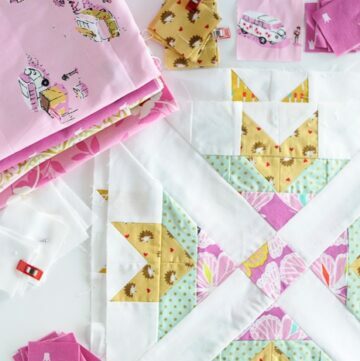 The block for September is very simple and will teach you some basic quilting skills. I’ll also pop in here with posts on other helpful techniques as needed during the year. Before we start we’ll talk about fabric selection, best quilting practices and tools. If you want to join me but have never quilted before there are a few things you’re going to need. You can go nuts buying quilting supplies, so we are going to start with the bare minimum and you can add from there as you like. Rotary Cutter. Like I told the Doctor at the ER when I sliced off my finger “it’s a pizza cutter for fabric”. It’s another must, but is sharp (obviously) if you’re worried about cutting yourself get a cut glove too. Good snips. A small pair of scissors to use when clipping strings. Pins. I prefer to use the flower head quilting pins. 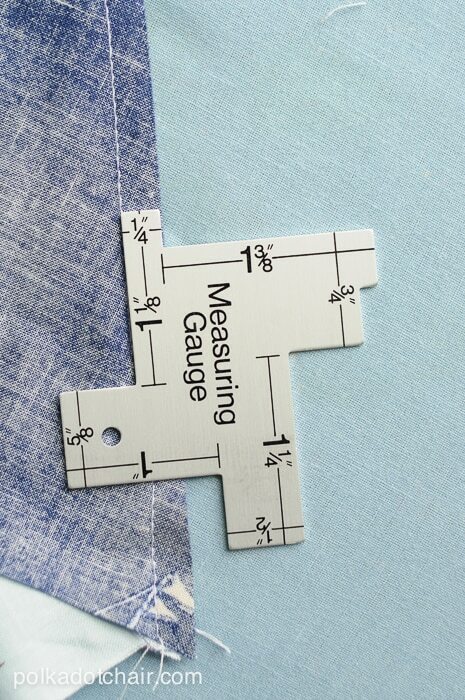 They are thinner than regular pins and help the fabric lay flat as it’s pinned. 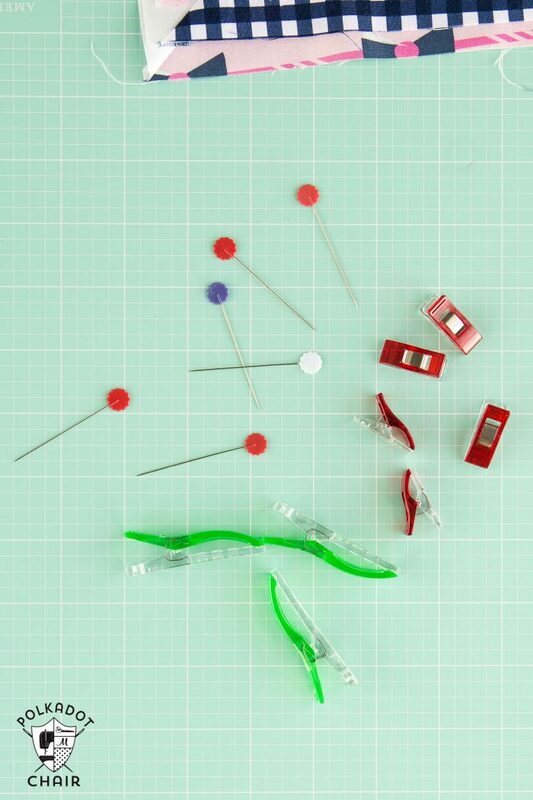 Binding Clips. I bought these a few years ago and they are now a constant “must” have for me. 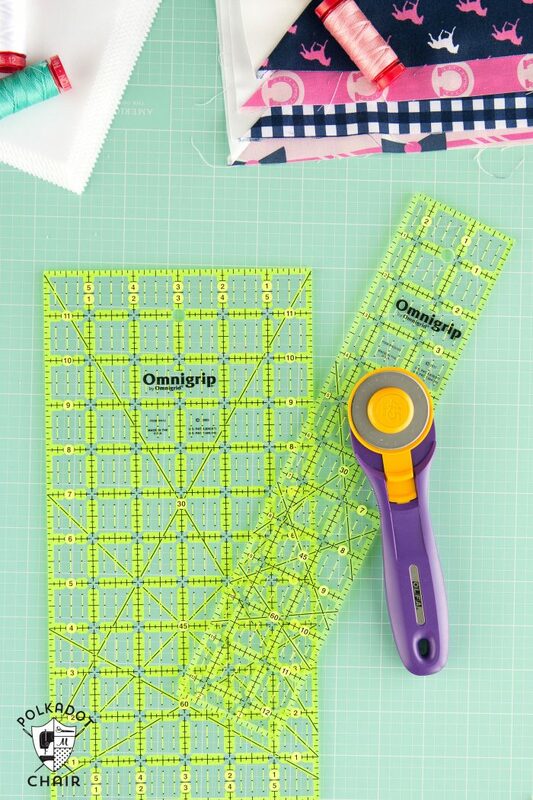 They come in very handy for more than just quilting. Sewing machine. I sew on a BERNINA 770QE and I love it. Any machine you have will work, you don’t need a quilting sewing machine. You do need to figure out how to get a 1/4″ seam on your existing machine. Many machines do this with specialty feet. Check your instruction manual for information. Okay, that’s it for now!! Our next block of the month post will be next week! Stay tuned! 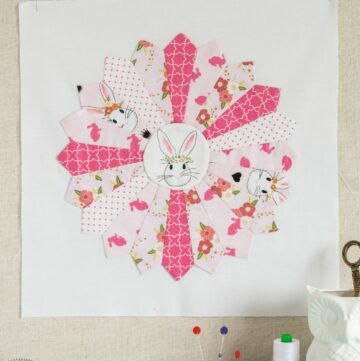 In the meantime, check out my Quilt Block Pinterest board for some inspiration. 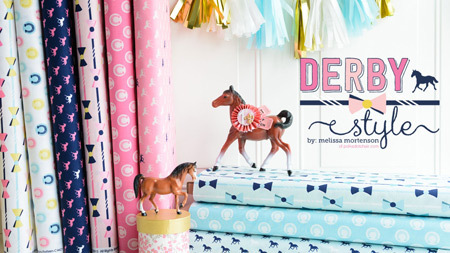 Follow Melissa | Polka Dot Chair’s board Quilt Blocks on Pinterest. Sounds like a good project for me. Thanks for the block of the month. Oh, I’m glad you found it! I never realized it wasn’t for sale in the UK. I already like your newsletters and look forward to them! Now, I am so excited because I find quilting a daunting task. Cutting straight lines is a problem LOL Thank you! Which sizes or sizes of clips do you recommend to start? The smaller ones. I just bought the bigger ones, and they are super handy but I still use the smaller ones constantly. I can quilt, but I am looking forward to your tips. Great idea, this! Sounds fun! I’m in! Everybody should visit the basics every once in awhile! thanks so much for taking your time to do this!! Im so excited! This is just the project I need at this time. 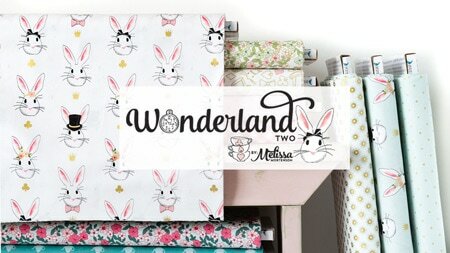 Thank you, Melissa, for this awesome “PolkaDot” website! God bless you for your outreach! I found your blog recently and have been trying new things. I love it! 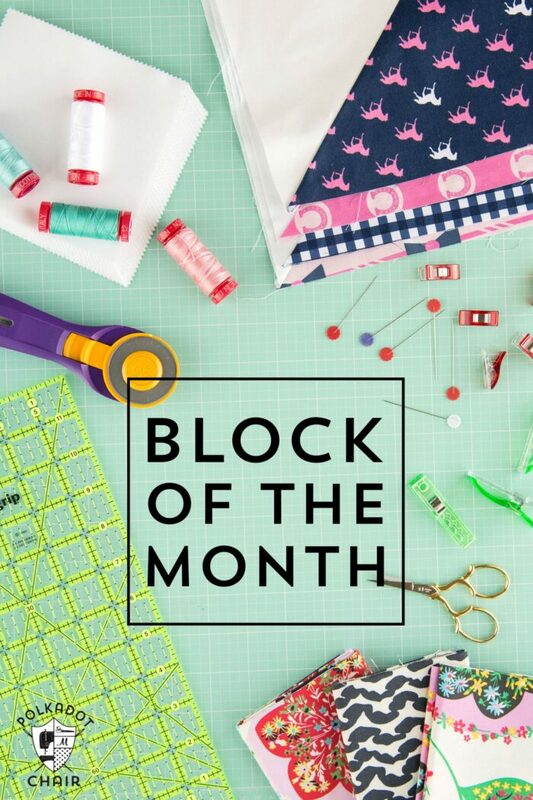 Can’t wait to get started on the Block of the Month project with you! Thank you for your time and devotion! I’m all about squeezing a tiny bit of creative time into my day. I hope you enjoy the series! 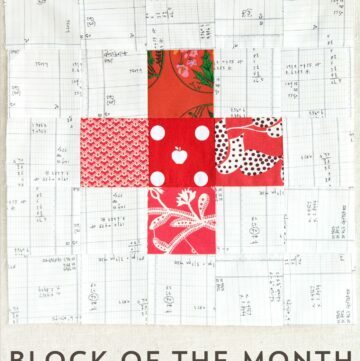 Looking forward to your block of the month series! 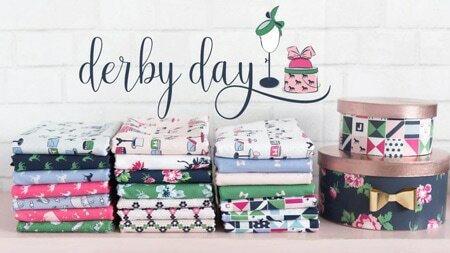 I’m a quilter newbie! I am always excited about joining in on a Block of the Month. I have quilted for a little while but always learn new things by following a tutorial. Thanks for doing this. I’m in! Thank you. Can’t wait to see what we will be creating. And thank you for committing ! So happy to have you!!! I’m excited to participate. II’m a newbie. My friend and quilt instructor lost her battle with cancer June 25. I’d given up on quilting. She would guide step by step through FB msgs. Thank you for doing this. I’m excited to participate. I’m a newbie. 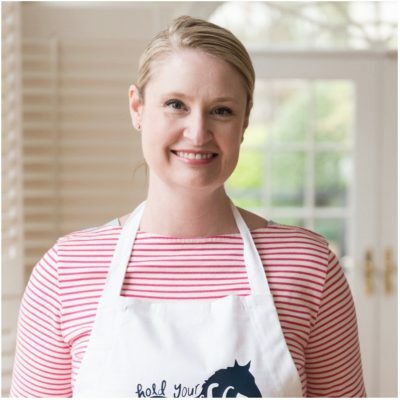 My friend and quilt instructor lost her battle with cancer June 25. I’d given up on quilting. She would guide me step by step through FB msgs. Thank you for doing this. I have always found the idea of making a quilt too daunting. 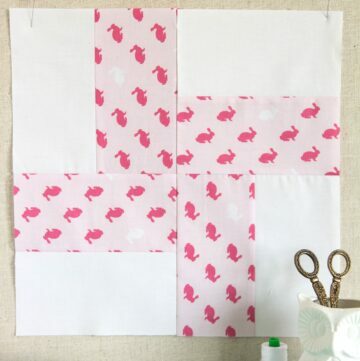 But I love this idea of making one square at a time. It is something I think I can wrap my brain around. SO, here I go! I’m in! Supplies are ordered. Well, no fabric yet, but the rest of the stuff is on it’s way. Oh, I’m so glad you’re “in” Holly! It always is nice when I can picture a person I know when I’m writing this stuff up!! So how do I sign up to your sight? I think I am missing something. I don’t want to miss any blocks.? over on the side bar right under the first 2 ads is a box that says “be in the know” enter your email address and then click “verfiy” in the email you get. You’ll then get an email reminder each time a new post is added (a few times a week). So glad to have you!! What day will you start? I have asked my sister to join me in your BOM; I think it is the perfect project for us. At this point we are planning to do the blocks from each of our stash and maybe do some swapping. We don’t live in the same city but at times we can get together to compare notes & blocks. 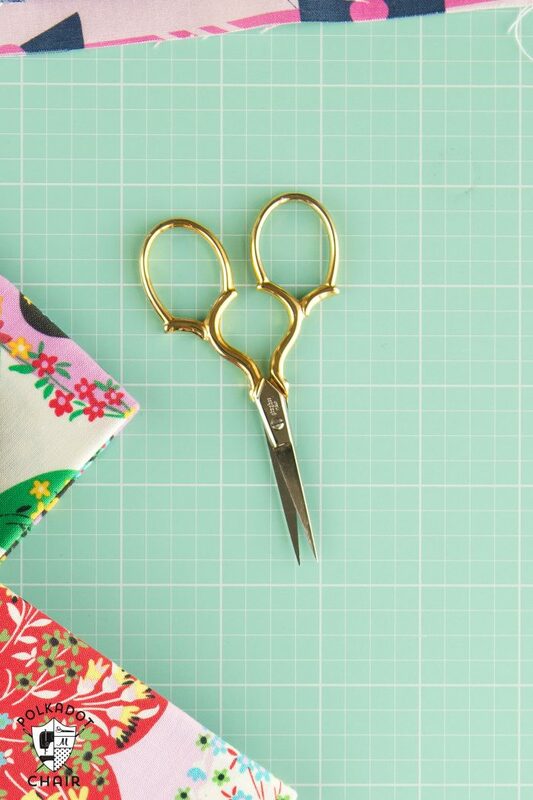 We both sew & quilt but everyone can improve skills & learn new tips — right?! Thanks for leading this. The first block in the series posts this Friday (9/25).. So glad to have you on board! Where do I sing up for your bom? I have been remiss in checking my emails (last count was 1124 .. oh no) and I seem to have missed the post for this. Thanks for the chance to try quilting’s for everyone. I can not find out how to download the blocks. Just wondering if this can be done. At the top of the post there is a link that says “to view all the posts in this series CLICK here”. It will take you to the index. So far one block has been posted. 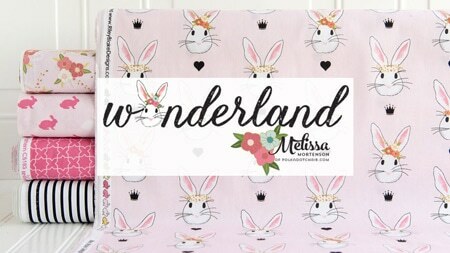 June of 2016.I am so excited to do the Block of the Month(2015) Keystone Quilt (of Bunnies) Thank you it is so easy because of the sizes; as I have tried other Block of the Month and the measuring of 7/8″ on some of the pieces was hard to follow beginning quilting so I did not finish them but wanted to learn the block pattern. My question; did you just duplicate two other blocks for July and August? or am I not finding them? Thank you and such a easy to follow project and I want to order the “Sister Sampler Quilts” so exciting and a little challenging book of projects! Nope, July and August are new blocks, they have not been shared here yet. They will be in July 1st and August 1st. 1. My sister is in Europe now. She was told to watch out for pick pockets. She took a money belt. 2. About the piece of furniture. Not grey, white or ivory. Something medium to bold to make a statement. The could be the color that ‘ I love that color, but what would I use it on’. Sesr through Pinterest. What is the finished size of this quilt?